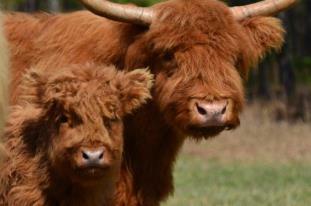 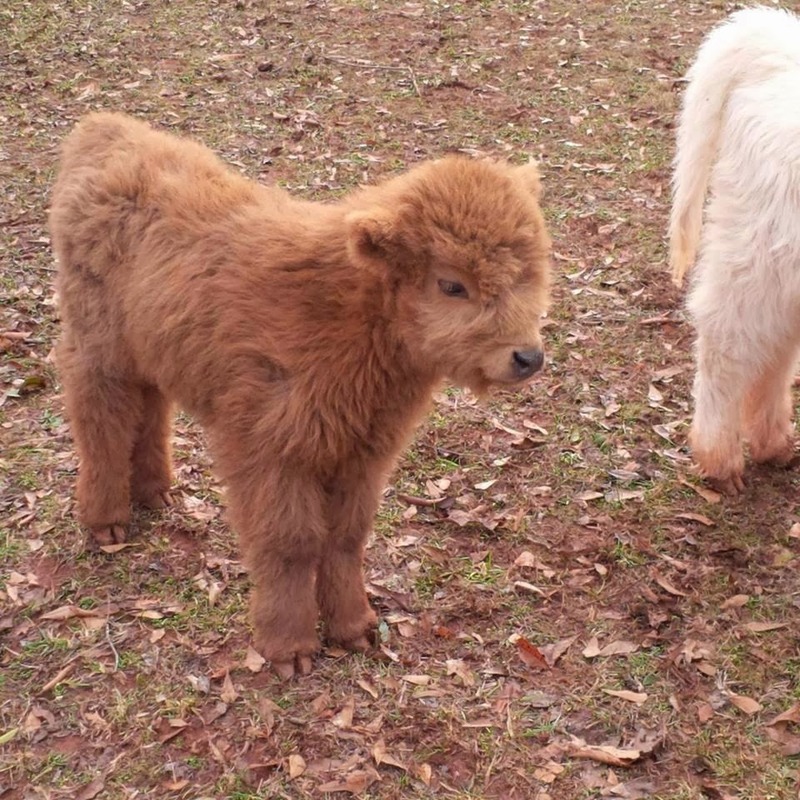 We have Fifteen Scottish Highlanders here at Classic City Farms including four calves born this year. 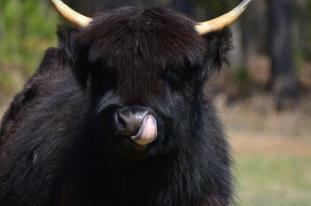 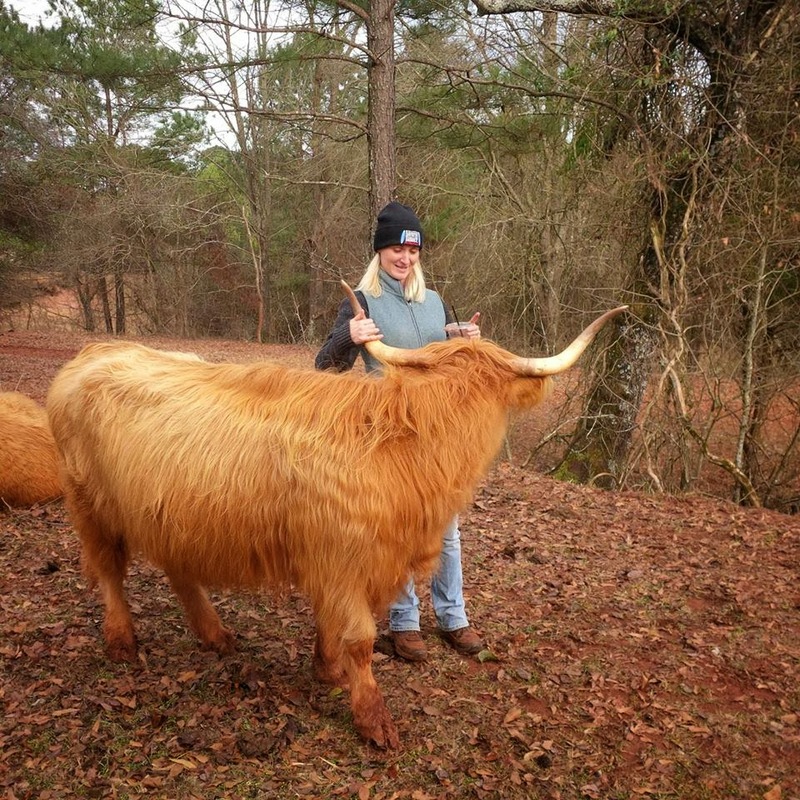 Highland beef is lean, flavorful and we keep our cattle as close to nature and organic as we possibly can. They live on a diet of Bermuda grass hay and get treats organic feed. 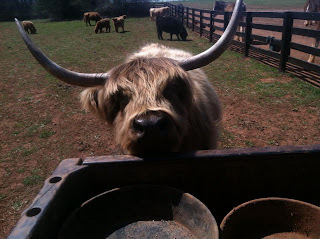 They are docile creatures and we love them. 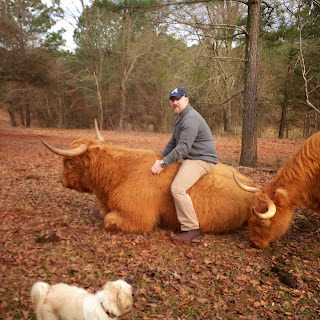 Mark & Winston our old bull!